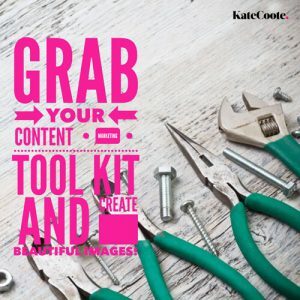 Content Marketing Success - Grab your Tool Kit | KateCoote. How will you plan your 2016 content marketing budget? I’m not just talking about the dollars! If you haven’t started to invest some valuable time in creating great content for your business then 2016 is definitely the year to grab your tool kit and make content marketing work for you! As a professional copywriter I believe a well written blog article that is optimised for search engines, and offers a wealth of valuable information for its audience will always have value in content marketing, but there’s no denying that the rise of Instagram has highlighted the importance of the imagery we use, and “short” videos are definitely becoming more and more popular. 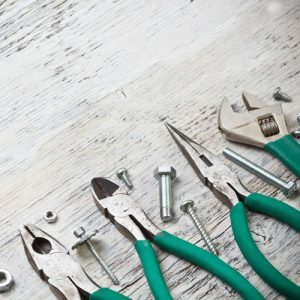 So, that said, I wanted to share with you two of my favourite content marketing tools that are easy to use and will help you create great content! Firstly Adobe Voice – Not quite a year old, Adobe Voice is a free iPad app that lets you make an impact with an amazing animated video. Persuade, inform and inspire anyone online. Here’s an example of a video I created using Adobe Voice, it’s a delightfully simple app giving you access to stock imagery and icons or allowing you to use your own. Social Media Success In 60 Seconds! Next up… Word Swag – This very cool app allows you to create beautiful imagery with inspirational quotes or messages, giving you access to a database of backgrounds, images, quotes, fonts and colours. It’s like having a graphic designer in your pocket to help with your content marketing! Here’s a Word Swagged version of the original image that accompanies this post. Good luck with your content marketing for 2016, and if you’d like help working out a strategy that includes beautifully crafted content, give me a call!